I bet you heard about the show Wipe Out, yes? Of course, you did! 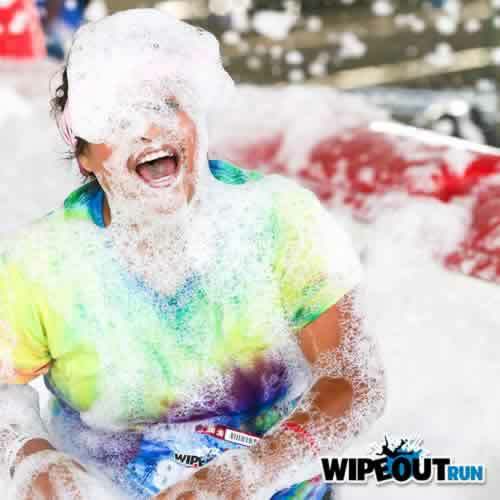 Last August 14th, they launched their own fun run in Arizona called Wipe Out Run held at the West World Scottsdale with approximately 10,000 participants which started from 7AM-2PM. Groups starts every half an hour and you’ll get the idea of how many people who had a blast that day. The run had 12 fun obstacles in 5k run and I tell you what, it didn’t even feel like we ran that distance from all the bouncing around this obstacles. Everyone were ready to get dirty, get splashed, and wiped out which makes it like a giant jumpy house for adults! If that doesn’t sounds fun for you, then I don’t know what does. People who joined were a fun crowd, they appear at the venue dressed up with their goofy, fun, and colorful costumes. It’s a fun excuse to be a goofball and just act like kids again. Kudos to the producers of the Wipe Out game show who brought this fun to the public. We had a blast bouncing around the big balls, sliding on tubes, getting splashed at the wrecking ball, and diving in to the bubbles and foam! How about I let you watch a short compilation of how it was. Enjoy!